The book includes fasting aids such as herbal baths, yoga, music, sweats and meditation, and a self-empowerment questionnaire. Our world is getting more toxic every day — from the air we breathe to the water we drink, from the food we eat to the negative thoughts we carry in our minds. Over time, physical and mental toxicity contributes to depleted energy, spiritual apathy and, eventually, poor health. 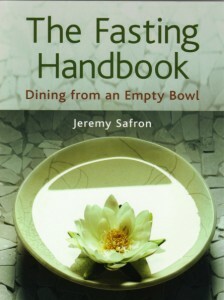 Safron feels that fasting allows the body to heal itself. He describes a variety of fasts, such as water, juice, soup and raw foods, as well as healthy ways to cleanse certain parts of the body, from internal organs to the eyes, ears, nose, skin and blood. There are also fasts in which people go without speaking, working, interacting with people, the media and more. $11.95 — Celestial Arts, P.O. Box 7123, Berkeley, CA 94707.